At the Location step of the wizard, select an ESX(i) host to which the clone/virtual copy of the storage snapshot will be mounted. On the selected ESX(i) host, Veeam Backup & Replication will create a temporary VM and mount disks of the restored VM to this temporary VM. 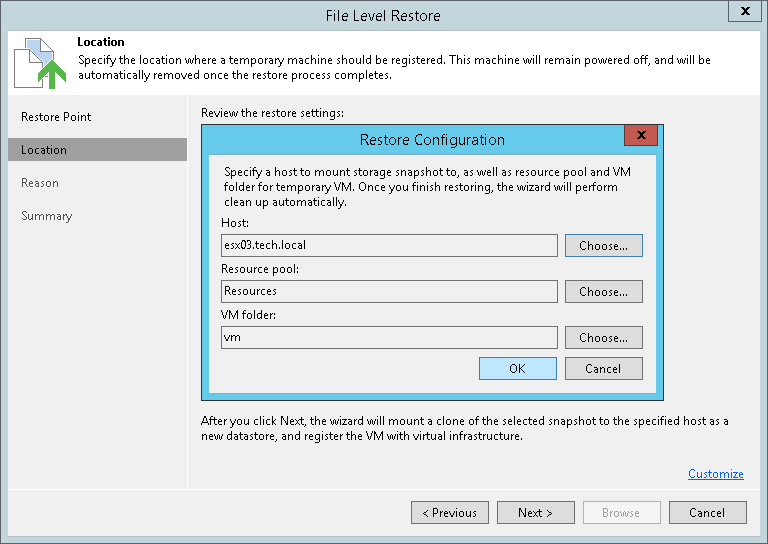 Next to the VM folder field, click Choose and select a folder to which you want to place the temporary VM.